This giveaway has ended and Kaye was the winner. Stay tuned for more fun giveaways and contests. Day 3 giveaway: Birk Sun solar backpack! When BirkSun solar backpacks came onboard as a sponsor of my radio show, The Survival Mom Radio Show, I was thrilled. My family and I rely on our cell phones, in particular, as my husband drives some 300+ miles each week on his job and during the school year the kids are all over town in various activities. Back when I was a kid, we didn’t worry when we couldn’t immediately get in touch with a loved one but today, our cell phones are an integral part of staying in touch and it’s easy to panic when someone isn’t answering their phone. I’ve found that a solar backpack takes care of the dead cell phone battery problem, giving me peace of mind when that darn battery runs low and since it’s just the right size for a laptop, I now use it as my primary laptop carrying case. 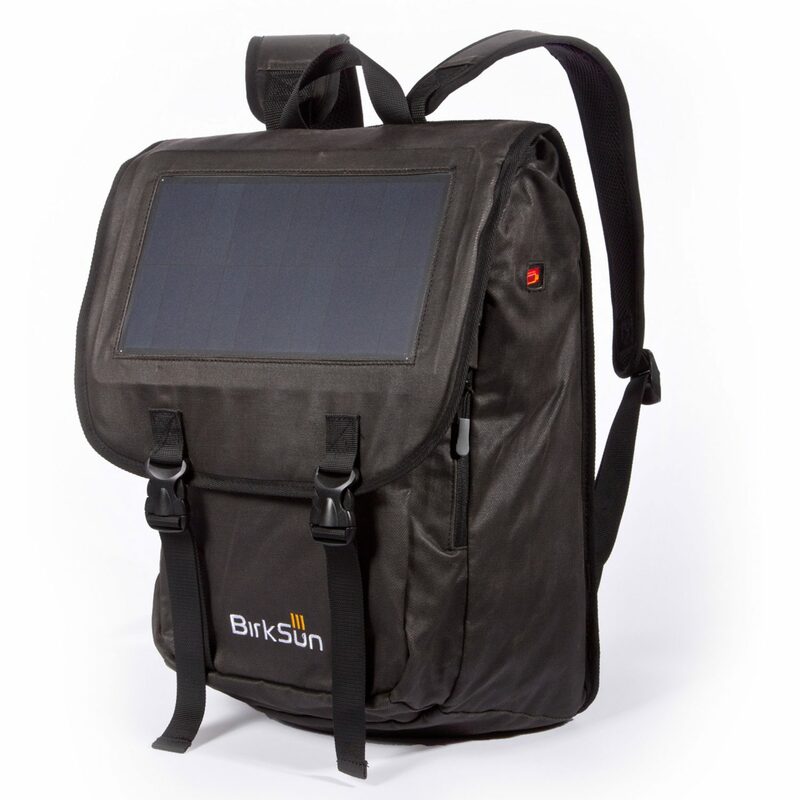 The large solar panel on a BirkSun backpack collects energy from the sun and stores it in a battery pack. The backpack comes equipped with the necessary adapters to charge all Android phones, iPhones 5, 4S, and 4, GoPro Camera, Amazon Kindle, Samsung Galaxy, Garmin GPS, CamelBak water purifiers, and much more. 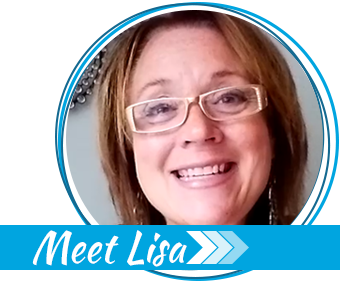 Enter to win this giveaway by participating in a Rafflecopter giveaway. There are LOTS of ways you can increase your chances to win! Here’s a discount code, even if you don’t win! Order the solar backpack of your choice at BirkSun.com and enter this coupon code: The Survival Mom for a 15% discount! There are 2 different styles and colors to choose from. Expires Monday, August 12 at noon PST. This would be great to keep my cell phone charged! Going to put mine in the car, mostly as a part of the winter survival kit. It will be always charged and ready to assist when needed. This looks like something my husband would really like. I would keep my Kindle charged. I would want to keep my cell phone charged the most! Sweet, been looking at solar backpacks, would love to win this one. Thanks for the giveaway! I plan to keep my tablet and cell phone charged. Thanks again! I want to keep my cell phone charged. If I won this… it would be used regularly, not just in a SHTF scenario. I would be able to go on hikes and keep my cell phone and my camera batteries charged up. In a SHTF scenario I would add to that list my ham radio batteries. Fingers crossed! This would be a great one to win! Thanks for the chance! Technology is so freakin’ cool. Would love to have this backpack! This would be great for my phone and kindle! I’m just amazed it took so long for people to come up with the idea of an integrated solar panel on their back. Would love to have one. I would love to have this to keep my Kindle charged. This is cool! I’d leave it in my car. I’d love to have a backpack like this to keep my Android phone charged when we go on vacations. I often take a backpack instead of a purse when we go to theme parks. What an awesome giveaway. Thank you for the opportunity. Good luck everyone. What an awesome giveaway. Thank you for the opportunity to win this. Good luck everyone. Yay for giveaways!! It would be hard to pick one device. Cell phone and kindle. Kindle is versatile forms of entertainment and loads of info I’ve put on it. I would use the a lot when I’m at the park with my family and dog taking pictures or listening to music. The other part that would be good is that I’m changing my lifestyle to always be prepared and this would help immensely. This would be handy every day to keep my phone charged as well as my new Kindle Fire HD. My telephone is likely the most important thing to keep charged. I’d like to hand this off to ETC (Elder Teenage Child) who is going off to college in a few weeks — it’d be great for charging ETC’s cell phone or laptop battery… but I suspect ETC might lose/damage it or have it stolen while at college… SO…. I’d use it to charge my cell phone for the time being, and my tablet if I get one for my birthday or Christmas. I’d love to try one of these out, but not sure about the investment. If it works as planned I’d buy one for every member of the family! I would like to keep the iPad charged! I see I should have said what device I want to keep charged. My phone!!!!! Our iphones would be staying charged with this bad boy! I would LOVE this. I have to bike everywhere and keeping in touch in the city is really important when I’m out by myself! Would love to have this for traveling and extended power outages! Would love to keep my kindle and phone charged! I would love the bag so awesome.! I’m always needing to charge my iPad. Nintendo D’s, cell phones, portable dvds, mp3 players the possibilities are endless! I agree with everybody else, great give away! This would be handy on trips to keep the cell phone and iPad charged up! Couldn’t afford it, would love to win it. 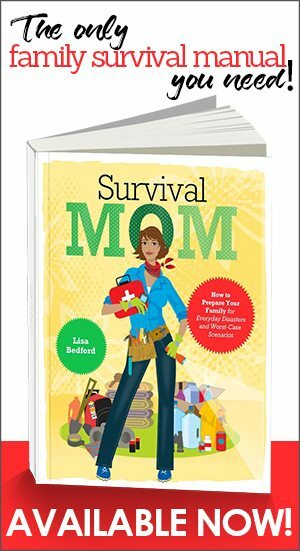 I have a ton of Survival books and guides collected on an E-Reader. In a crisis, that library will be important. That is what I would keep charged. This would be a great daypack for keeping my smartphone charged while hiking, then I could make use of my phones GPS. THis would be great for my phone and nook! i want to be sure to keep my kindle charged! I would love to enter but don’t care to live my life under the Facebook microscope. Is there any other option? There are plenty of ways to enter, not just Facebook. My cell phone for sure… or whatever has the lowest battery! My son could use tis for school and to make sure his phone is charged so he can call his Mom. Cell phone though I’m not the member of the family that can’t put it down. I’d have my daughter keep her cell charged with this 🙂 Her battery always needs a charge! Trying to decide between my cell phone and my Kindle. I don’t want to live without either! This would be perfect for our annual road trip on the bike. Might finally be able to talk the hubs into camping if we had a way to charge the helmet communicators and cell phones. Thereby, making the annual trip more affordable and maybe bi-annual… Very cool! Thx 4 sharing this innovative product! I wonder if there’s a way to use this packpack to keep a small cooler cold? I wonder if there’s such a thing as a USB bug zapper head net? This packpack might just be the ultimate fishing accessory anyway, to keep the radio batteries charged. What a great idea! I work outside so this would come in handy daily to charge my kindle or my phone. I am constantly traveling from Western Washington to Eastern Washington. This backpack would be a great way for me to keep my laptop, cell phone and tablet charged up while traveling. Oooooo La La! I absolutely HAVE to have one of these…. This would be a great way to keep my cell phone charged! Phone and Kindle for sure. Would love one of these. My son bought a motorcycle to get to work and I worry about him getting stuck without any means of communication since he can’t charge his phone on the bike. This would be perfect for my hurricane evacuation kit! This would be great for SOOOOO many things. All of the family phones , cameras, etc. Great for our active lifestyle not just emergencies. Hurricane season definitely makes it a top item at our house. I would charge my phone. Everything! Oh, how reliant we all are on our electronic devices! I would love to have one of these. This bag is especially attractive. Beautiful AND functional! My cell phone and some rechargeable batteries for flashlights! Thanks! Spent the last 5 months looking for a good solar charger for a small budget. This would be great!! That would make a great bag! I would use this to keep my cellphone charged. It doesn’t even last a day if I use it’s more fancy capabilities so this would be great. 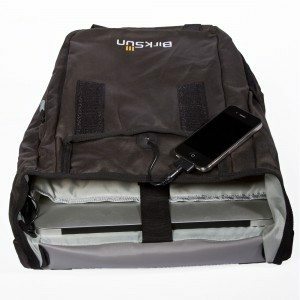 This backpack would be wonderful to power not just my cell phone, but to possibly keep some medical equipment/monitors working. I think keeping our phones charged for emergencies would be the most important thing. Thanks for the giveaway. If I could charge anything, I’d like to keep the laptop charged. That way I have something a bit more powerful and can hook up my external USB drives that contain all of my important documents and ebooks as well as programs to keep myself and the kids entertained. My cell phone. Thanks for the chance to win! Wow, what a great product and a great idea. I know how important some of the ‘necessities’ can be. We have a newborn on the way, and to be able to have the baby monitor charged while camping, or any of the other baby essentials taken care of without using other resources would be great! In a short term emergency, I definitely want to keep the Android phone charged. For longer term, probably a handheld ham radio. Communication is still one area that I really need to work on since I have a student leaving for college. Was just looking for something like this. I need to keep my ipad charged for my ebooks, survival books, recipe books, etc. This would be great! Keep cell phone charged up. I most want to keep my cell phone charged. What an awesome idea. This would be nice to keep devices charged without having to find an outlet! Love the idea to use as a laptop case. Also, so versatile to keep our phones, kindles, walkie-talkies, batteries, flashlights. The list goes on and on. Great prize. I would keep my Kindle charged to access my books, videos, games and email. Just rolled in from a weekend camping trip. My cell phone was running out of steam and this would be great for that extra boost! 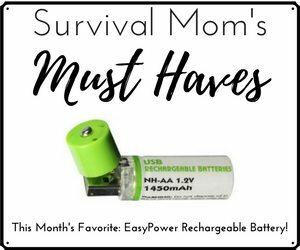 I go hiking with my toddler son at least 4 times a week and this would be awesome to keep the cell phone charged in case of emergencies. I think we would use this all the time. This is such a great idea!! We would keep it in the car and use it to charge up our phones on trips, when the power goes out and ICE. Now, if it could only do the cooking, too!! Looks like a great device to have for multiple uses on a daily basis. Thanks! My phone would definitely be the first priority – then the rest of the family phones. Thanks! This would be so nice for whatever device needs charging. I could use this to keep all my gadgets charged. This would be so cool to use!! I think I will go out and buy a couple for my sons for their birthdays! Awesome backpack idea!! I most want to keep charged my cell phone. Thanks for the giveaway!!! I’d want to keep my cell phone charged. Thanks for the chance to win! I would keep my cell phone and Kindle charged. What a great giveaway!!! Would be great to charge Kindle, and smart ohines when we get them. You didn’t name iPads, but that would be wonderful. Having travelled recently overseas, the availability of a solar backpack to recharge electronics is genius! No need to have to fight for a plug at the airport. This would be great to charge my kindle. My husband drives 600 or 700 miles a week. He would use it a lot, also if for some reason his car broke down he would be able to call for help. Or lost fishing, I have known many people who have been lost hiking and got stuck out overnight. This is definitely on my wish list! I would use it mainly to charge my cell phone. Thanks for the giveaway! I would use it to keep my kindle charged so I would always have reference books to read when in a survival situation. Been thinking of getting one of these for a while. Just last month we drove across eastern Canada on Vacation, and we could have really used that backpack when our camera battery died half way through a day of busy sightseeing. Got to have a smartphone, but they don’t hold a long charge so this backpack is a great idea! I’d use it to keep my Kindle and cell phone charged! 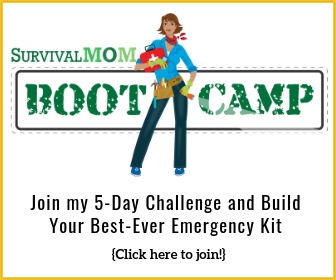 This would be great for us we are beginner preppers. As I don’t have a smartphone, I have a stupidphone. That is, one that the battery is constantly dieing on me. It would be a great way for me to deal with this problem without having to buy a new phone. I would charge my cell phone and laptop. Thanks for all of your info. sharing. I would love to win. That is so cool! We are on a tight budget (Like everyone else… ) but would love to win this. Thx! Staying in touch with family is so important but hard to do when your cell is dead! Would love to send this with my husband when he is elk hunting in the wild. The power keeps getting knocked out here in Oklahoma! This may be the new must have accessory for the upcoming fall storm season. I’d want my cell phone charged. If lines were down, then I’d want to keep a lantern charged. This would be great to charge our phones and my kindle. To take camping or for power outages the possibilities are endless. Wow!1 What a great contest! Thanks for the opportunity to enter. I would use the backpack for when I am hiking. It would be used to charge my phone and tablet. I need to keep my cell phone and GPS charged! I always want to make sure my cell phone is charged. Wow, these are great! I would be delighted to win one, and even if I don’t win, thank you for the discount code! Hooray! Need to keep the phones charged. Real survival is keeping my tablet charged so my children can stay busy on it and I can keep my sanity while traveling! I never heard of such an item. Now it goes to the top of my must-have list. I think this is a great way to keep phones and laptops, tablets charged. There is enough room to pop thumb drives with vital information in them. That way everything is together and able to function if the grid goes down. One of three things: my cell phone, my handheld ham radio, or my Kindle. Keeping in touch is extremely important, but so is occupying the mind of a bored 9yo! Let’s see…contact? or sanity? I want to keep my cell phone charged! We’d most likely use it for charging our cell phones. Hubby is a trucker & I could see this being handy for him. This would be handy for my whole family. Charging the phone is difficult when my husband is in the tractor (He is a farmer). He could at least charge up his cell phone when he stops for chemicals or lunch. The daughter is forever bringing things on trips. She could store her stuff and charge her iPad at the same time! Would love this for my backpack and phone. Smart phones use the battery up way too fast! We could really use this for charging the cell phones and the tablet. Thank you for the giveaway.